IC3D TechTack is a reusable and lightweight thermoplastic that adapts to whatever shape YOU want. Use IC3D TechTack for costume and propmaking, art, toys, replacement pieces and custom parts – really anything! 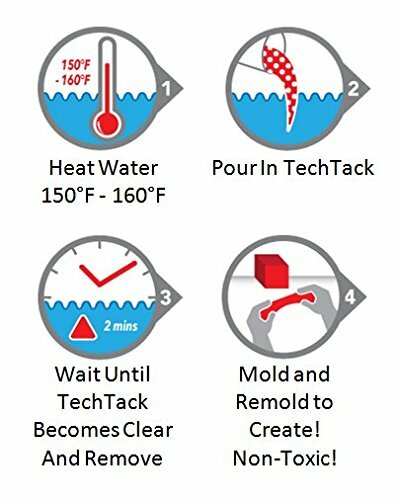 IC3D TechTack is easy to use – just heat it with hot water, shape it like clay and when it cools, you have a strong and durable plastic item. 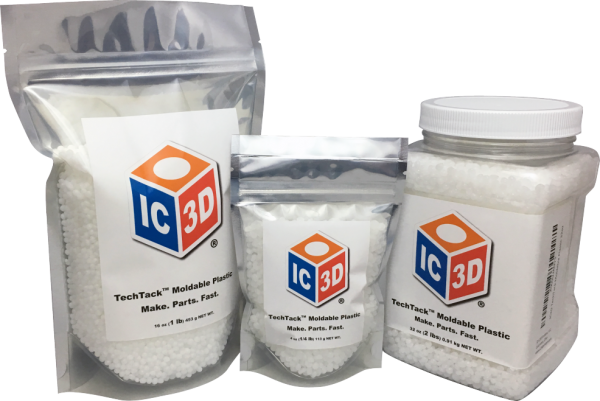 Unleash the Maker in you with IC3D TechTack!